This article is about an archaeological site in Jerusalem. 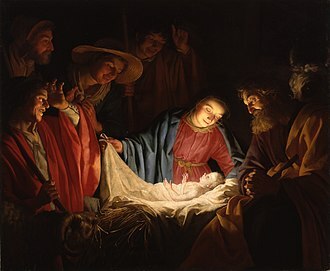 For the city of King David's birth, see Bethlehem. The area is one of the most intensively excavated sites in the Holy Land. Archaeological practice at the site has been criticized with practitioners not acknowledging political and corporate motivations, questionable field practice and overtly skewed interpretations. The debate within biblical archaeology over the location of the City of David began in the late 19th century with the excavations of Charles Warren and Hermann Guthe on the hill southeast of the Old City. The 1909–11 work of Louis-Hugues Vincent and Montagu Brownlow Parker identified the earliest known settlement traces in the Jerusalem region, suggesting the area was an ancient core of settlement in Jerusalem dating back to the Bronze Age. It is on a narrow ridge running south from the Temple Mount in the predominantly Arab neighborhood of Wadi Hilweh, which is part of Silwan, an East Jerusalem suburb. It is thought to have been a walled city in the Bronze Age which enjoyed the defensive advantages of its position, as it is almost surrounded by the Central or Tyropoeon Valley to its west, by the Hinnom Valley to the south, and the Kidron Valley on the east. In the pre-Israelite period, the area is thought to have been separated from the site of the later Temple Mount by the Ophel, an uninhabited area which became the seat of government under Israelite rule. During the reign of Hezekiah, the walls of Jerusalem were expanded westward, across the Central Valley from the City of David and the Temple Mount, enclosing a previously unwalled suburb in the area known today as the Western Hill of the Old City. The Gihon Spring, which lies on the eastern slope of the southeastern hill of Jerusalem aka the City of David, and is generally considered the very reason why the city first emerged at this specific location. The Siloam Pool - two connected pools, an upper one from the Byzantine era, and the recently discovered, lower Second Temple-period pool. City walls and towers, houses, a columbarium, rock-cut vaulted tunnels once interpreted as royal Judahite tombs, a rock-cut pool where the Theodotus Inscription was discovered etc. In 2010, an archaeological survey of the City of David was conducted by Rina Avner, Eliahu Shukron and Ronny Reich, on behalf of the Israel Antiquities Authority (IAA). In 2012–2013, two teams of archaeologists conducted surveys of the area on behalf of the Israel Antiquities Authority; one led by Uzziel Joseph, and the other by Gadot Yuval. Archaeological surveys in the City of David continued in 2014, led by Uzziel Joseph, and Nahshon Zanton. Archaeological exploration of the area began in the nineteenth century, with excavations undertaken by Charles Warren in 1867. Warren was sent by the Palestine Exploration Fund. Warren conducted an excavation of the area south of the Temple Mount and recovered a massive fortification. The finding led him to conduct more excavations at the area south of the Temple Mount. There he revealed a vertical shaft descending from a slanted underground tunnel to an spparent water source. He suggested that the shaft was used to supply water to the city, which he believed was the old biblical city of David. Today this shaft is called after its discoverer "Warren's shaft", but his interpretation has been proven wrong, as the shaft is not man-made and had not yet been discovered by Jerusalem's inhabitants in the 10th century BCE. The right to control both the archaeological and the residential aspects of the City of David is hotly contested by Israelis and Palestinians. There is a proposal to turn most of the area into an archaeological park, and to transform a part of the Kidron Valley currently inhabited by Arabs into a park to be called the King's Garden. Israeli archaeology at the site has been criticized; Tel Aviv University Professor Rafi Greenberg stated that archaeological practice at the site is "completely subsumed to political and corporate motivations that are, however, largely unacknowledged by its "neutral" practitioners, leading to questionable field practice and overtly skewed interpretations of the past". Chalcolithic remains include bits of pottery found in clefts in the bedrock by Macalister and Duncan. The expedition also discovered a number of places where the bedrock had been cut in various ways. These included areas where the rock had been smoothed and others where it had been cut to form flow channels. There were also several groups of small basins, sometimes called cup marks, cut into the bedrock. These are assumed to have been used for some form of agricultural processing. 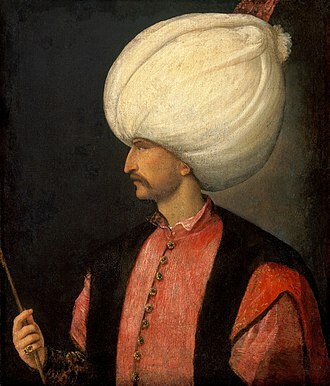 Macalister and Duncan speculated that they were used in olive oil processing. Edwin C. M. van den Brink, who notes that similar carved basins have been found at Beit Shemesh and near Modi'in-Maccabim-Re'ut, speculates that they may have been created by repeated grinding and crushing activity, such as the grinding of grain or the crushing of olives. Eilat Mazar speculates that they were used to collect rainwater. Pieces of pottery have been found. Middle Bronze Age Jerusalem is mentioned several times in Egyptian texts from the 19th–18th centuries BCE. A town called Shalem is mentioned in this era in the biblical story of Melchizedek (Genesis 14:18–20), which may have been Jerusalem. Pottery and bronze arrowheads dating form this period have been found. In 2010, a fragment of a clay tablet dating from the 14th century BCE was uncovered, making it the oldest written document yet uncovered in Jerusalem. 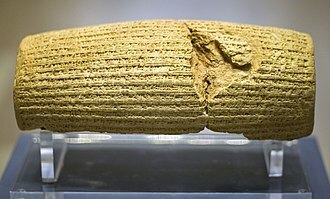 It is dated by the writing it bears, in an ancient Akkadian cuneiform script. The text was deciphered by graduate student Takayoshi Oshima working under professor Wayne Horowitz. According to Horowitz, the quality of the writing indicates that this was a royal inscription, apparently a letter from the king of Jerusalem to the pharaoh in Egypt. Professor Christopher Rollston points out that there is no mention of any personal names or titles and no place names in the document. He notes that the quality of the script is good but that this does not show that it is "international royal correspondence." He also suggests that caution should be taken before positing a definite date as it is not a stratified find, having been discovered after excavation in a "wet sieving" process. 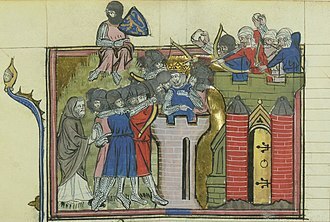 The Bible says Jerusalem was a Jebusite city, which was captured by troops under King David. The biblical description is very brief (2 Samuel 5:6–8 and 1 Chronicles 114–116), leaving space for speculation about how exactly the town was conquered, also due to the lost meaning of the ancient Hebrew word "tzinor". 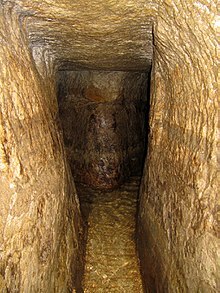 It is inferred from I Kings 11:27 that he breached the walls, and if the "tzinor" II Samuel 5:8 is understood as 'water shaft', then Joab climbed up first into the city by using the ancient water system at the Gihon Spring. The Bible then says that the Israelites continued to use the Jebusite walls, repairing them where needed, and extended the city northward, under King Solomon, to include the Temple Mount (I Kings 9:15). The period of the tenth and ninth centuries BCE has been the subject of an intense scholarly dispute, as well as of ongoing archaeological investigations. The 2005 discovery by archaeologist Eilat Mazar of a Large Stone Structure, which she dated to the tenth century BCE, would be evidence of buildings in Jerusalem of a size appropriate to the capital of a centralized kingdom at that time. Others, most notably Israel Finkelstein of Tel Aviv University, argue that the structure could, for the most part, be from the much later Hasmonean period. However, new evidence continues to emerge from the dig. 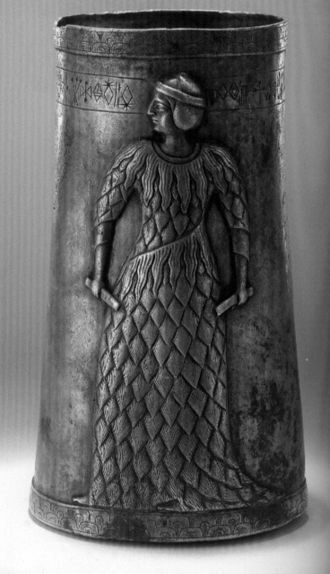 Mazar's date is supported by 10th century imported luxury goods found within the Large Stone Structure, including two Phoenician-style ivory inlays once attached to iron objects. Comparable objects found in a Phoenician tomb at Achziv suggest that they may have decorated a sword handle. A quantity of luxury round, carinated bowls with red slip and hand burnishing support both the tenth century date and a sophisticated, urban lifestyle. A bone has been radiocarbon dated by Elisabetta Boaretto at the Weizmann Institute, showing a probable date between 1050 and 780 BCE. A large section of a "delicate and elegant" black-on-red jug, also found in the structure, is of a kind dated to the second half of the tenth century BCE. In 2010 Mazar announced the discovery of what she believed to be a 10th-century BCE city wall. According to Mazar, "It's the most significant construction we have from First Temple days in Israel," and "It means that at that time, the 10th century, in Jerusalem there was a regime capable of carrying out such construction." Aren Maeir, an archeology professor at Bar Ilan University, said he has yet to see evidence that the fortifications are as old as Mazar claims. Doron Ben-Ami wrote in 2014 that, on the basis of his own excavations, there was no 10th century wall where Mazar claimed: "Had a fortified settlement existed in the City of David, then the course of the city wall on the west would have had to pass through the Givati excavation area. No such city wall has thus far been found. This means that the Iron IIA settlement was not fortified. It also means that the fortified city of the Iron IIB, which encompassed both the City of David and the Western Hill, had no need for a fortification line between these two sectors of the city. The elaborate rock-cut tombs of the Israelite period, dating from the 9th to the 7th centuries BCE, are found on the ridge on the eastern side of the Kidron Valley in and under the Arab village of Silwan. These are large, elaborate tombs of skilfully cut into the stone face of the eastern slope, such as could only have been built by the highest-ranking members of a wealthy society. According to David Ussishkin, "here ministers, nobles and notables of the kingdom of Judah were buried." The architecture of the tombs and the manner of burial is different "from anything known from contemporary Palestine. Elements such as entrances located high above the surface, gabled ceilings, straight ceilings with a cornice,13 trough-shaped resting-places with pillows, above-ground tombs, and inscriptions engraved on the facade appear only here." However, the stone benches were carved with headrests in a style borrowed from the Egyptian Hathor wig. Ussishkin believes that the architectural similarity to building styles of the Phoenician cities validates the biblical description of Phoenician influence on the Israelite kingdoms, but speculates that some or all of the tombs may have been built by Phoenician aristocrats living in Jerusalem. Although only three partial inscriptions survive, the paleography makes the dating certain  and they suffice for most archaeologists to identify one tomb with the Biblical Shebna, steward and treasurer of King Hezekiah. Sign near the southern end of the Siloam tunnel, where the Siloam inscription was found. This is the period that corresponds to the biblical Kings Hezekiah through Josiah and the destruction of the Kingdom of Judah by Nebuchadnezzar II. King Hezekiah secured the city's water supply against siege by digging the Siloam Tunnel through bedrock and covering over all signs of the Gihon Spring and the fortifications that had surrounded it in earlier periods. 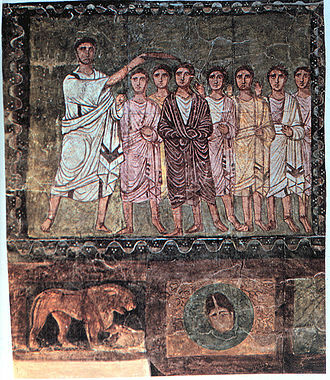 He built the Pool of Siloam as a water reservoir. Hezekiah then surrounded the new reservoir and the city's burgeoning western suburbs with a new city wall. Bullae with the names of Yehucal son of Shelemiah and Gedaliah son of Pashhur, two officials mentioned in the Book of Jeremiah, have been found. Two bullae in the neo-Babylonian style, one showing a priest standing beside an altar to the gods Marduk and Nabu. A polished, black, stone Scaraboid seal showing a "Babylonian cultic scene" of two bearded men standing on each side of an altar dedicated to the Babylonian moon god Sin. The scaraboid is understood to have been produced in Babylonia, with space left below that altar for a personal name. In that space are Hebrew letters that Peter van der Veen has read as the name Shelomit. Major archaeological finds include the Pool of Siloam, the Jerusalem pilgrim road, the palace of Queen Helena of Adiabene and the Jerusalem Water Channel. Active Roman-era excavations are also underway at the Givati Parking Lot dig site. Byzantine era mansion called the House of Eusebius. During the Givati Parking Lot dig a hoard of 264 gold coins was found from the time of Emperor Heraclius (7th century AD). Mid-19th century photographs taken by Scotsman James Graham (1853–57) show the City of David ridge as being devoid of housing. It is terraced and planted, apparently, with olive trees. Modern settlement began in 1873–1874, when the Meyuchas family, a Jewish rabbinical and merchant family that had lived in Jerusalem since their expulsion from Spain, moved a short distance outside the city walls to a house on the ridge. During the latter stages of the Mandate era the houses of the nearby Arab village of Silwan expanded across the Kidron Valley and up the ridge as well. After the 1948 Arab–Israeli War, the whole area fell on the eastern side of the Green Line under Jordanian control and its Jewish population was expelled. [dubious – discuss] Arab families continued to live on the ridge and to build houses there after 1967. From 1968 to 1977 the Israel Exploration Society started the first excavations at the Ophel, north of the City of David proper, headed by Benjamin Mazar and Eilat Mazar. 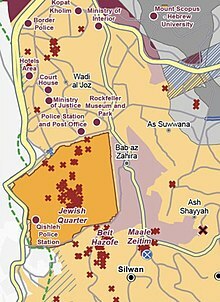 UN map showing the City of David area as a series of Israeli "Inner Settlements" – each represented as red crosses – around "Beit Hazofe" (בית הצופה, "Observation House"), and adjacent to Silwan and Ma'ale HaZeitim. The City of David is highly controversial in the context of the Israeli–Palestinian conflict. It is located in Wadi Hilweh, on the western ridge of the predominately Arab neighborhood of Silwan. Jews constitute the majority of the population. In October 2014, Uri Ariel, politician from The Jewish Home party and at that time Israeli Minister of Housing and Construction, caused controversy when he suggested he was considering taking up residence in the area. The construction of the 16,000 m2 Kedem Compound, approved in April 2014, was denounced by UNESCO in October 2016. The entire site, including the Gihon Spring and the two Pools of Siloam, is incorporated in an archaeological park open to the public. Visitors can wade through the Siloam Tunnel, through which the waters of the ancient spring still flow, although the change in the water table in recent times mean that the once intermittent karstic spring is now artificially maintained through pumping. First Temple, aka "Solomon's Temple"
Greenberg, Rafi (10 November 2014). "Ethics in Action: A Viewpoint from Israel/Palestine". In Alfredo González-Ruibal and Gabriel Moshenska. Ethics and the Archaeology of Violence. Springer. ISBN 978-1-4939-1643-6. ^ a b c Wendy Pullan; Maximilian Sternberg; Lefkos Kyriacou; Craig Larkin; Michael Dumper (20 November 2013). "David's City in Palestinian Silwan". The Struggle for Jerusalem's Holy Places. Routledge. p. 77. ISBN 978-1-317-97556-4. However, right into the early twentieth century only the Virgin's Found (Ain Umm el-Daraj) and the Waters of Siloam (Ain Silwan) had any known historic or religious significance and the area had virtually no specific meaning for Judaism or local Jewish religious practice. 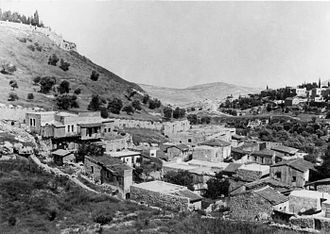 In 1920, a French archaeologist first suggested renaming Wadi Hilweh 'La Cité de David', explicitly privileging this specific, speculative biblical tie as the narrative leitmotif of the successive exeavations, which have revealed extremely varied findings, both in type and chronological attributions. It was only in the 1970s, when a major Israeli excavation project was conducted, there that 'David's City' became the official Israeli designation, initially having no particular religious connotation, today, the term itself is increasingly questioned in the archaeological academic community. 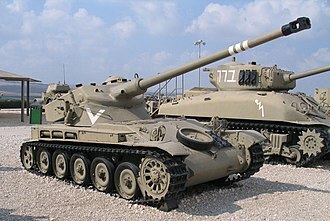 Since El'Ad took over the management of the park in 1997, 'David's City' has essentially become a religious-nationalist battle cry that has transformed the area from an ordinary Palestinian neighbourhood with a few excavation pits, largely unknown to the Israeli public, into a religious settlement and major national biblical monument with hundreds of thousands of visitors a year and an official education site for Israeli school children and soldiers. ^ Ariel, D. T., & De Groot, A. (1978). "The Iron Age extramural occupation at the City of David and additional observations on the Siloam Channel." Excavation at the City of David, 1985. ^ Broshi, M. (1974). "The expansion of Jerusalem in the reigns of Hezekiah and Manasseh." Israel Exploration Journal, 21–26. ^ Reich, R., & Shukron, E. (2000). "The Excavations at the Gihon Spring and Warren's Shaft System in the City of David." Ancient Jerusalem Revealed. 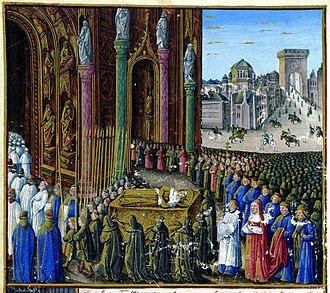 Jerusalem, 327–339. ^ Wendy Pullan and Max Gwiazda, Jerusalem's 'City of David': The Politicisation of Urban Heritage, Divided Cities/Contested States Working Paper No. 6, 2008, p.12: "The 'City of David' is formally treated as a settlement; making homes for Jewish people is seen as an integral part of El-Ad's heritage stewardship"
^ The Independent, "Israeli foreign ministry cadets to defend 'legality' of West Bank settlements", 1 November 2015, "Among the new sessions to be added to the cadet's course are a lecture on the legality of the settlements based on the claim that the West Bank is not occupied territory, according to The Times of Israel. It also includes a tour of the “City of David” settlement in the Palestinian Silwan neighbourhood of East Jerusalem, to be led by settler leader David Be'eri, who seeks its transformation, based on biblical claims, into a Jewish area." ^ Sixty-ninth session of the United Nations General Assembly, Israeli settlements in the Occupied Palestinian Territory, including East Jerusalem, and the occupied Syrian Golan: Report by the Secretary-General, A/69/348, 25 August 2014: "Archaeological excavations and parks are also used as a way to control land for settlements, mainly through the funding, participation and endorsement by the Government of Israel of archaeological projects led by settler organizations. Observer organizations report that several archaeological projects in the Old City of Jerusalem are being used as a means to consolidate the presence of settlements and settlers in the area. On 3 April 2014, despite several objections presented by Palestinian residents of the Silwan neighbourhood, a Palestinian community with a population of 45,000, located around the southern Old City wall in East Jerusalem, the Jerusalem District Planning and Building Committee approved a project known as the Kedem Compound.36 The Kedem Compound includes a museum, a visitors centre, and a parking lot covering around 16,000 square metres. The plan was presented by Israel's Nature and Parks Authority and the Ir David Foundation, also known as Elad, which works to strengthen the Jewish connection to Jerusalem, notably the Silwan area. The Kedem Compound would constitute a gateway to the City of David National Park, a touristic archaeological site controlled by the same organization." ^ Eisenbud, D. (2015). "Archeological find in Jerusalem's City of David may answer ancient mystery"[permanent dead link], Jerusalem Post. ^ Light at the End of the Tunnel: Warren's Shaft Theory of David's Conquest Shattered Archived 2014-08-01 at the Wayback Machine, Ronny Reich and Eli Shukron, BAR January/February 1999: 22–33, 72, quote: "The area we are talking about – the eastern slope of the City of David and particularly the strip above the Gihon Spring – has been subject to more archaeological excavations and research than any site in Jerusalem, and even in Israel." ^ Excavations in the City of David Under Ottoman Rule Archived 2011-07-21 at the Wayback Machine, quote: "Warren and Guthe's discoveries triggered the discussion on whether it was this very hill, on the southern outskirts of the Old City of Jerusalem, which was taken by King David and turned into his capital." ^ Excavations in the City of David Under Ottoman Rule Archived 2011-07-21 at the Wayback Machine, quote: "One of the peculiar outcomes of this "dig" was that the ancient graves discovered on the upper part of the slope and correctly dated by Vincent to the Early Bronze period, are still the most ancient remains known, not only on the southeastern hill but in all of Jerusalem. 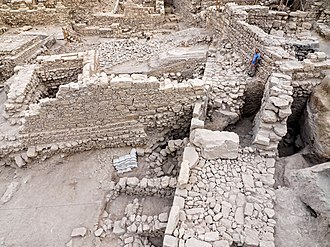 This discovery has actually provided the decisive proof that the southeastern hill is the site of the earliest human settlement of Jerusalem and confirms its identification as the biblical City of David." ^ Israel Finkelstein, Neil Asher Silberman, David and Solomon: In Search of the Bible's Sacred Kings and the Roots of Western Tradition Simon and Schuster, 2007 p.129. ^ Hillel Geva, 'Western Jerusalem at the End of the First Temple Period in Light of the Excavations in the Jewish Quarters,' in Andrew G. Vaughn, Ann E. Killebrew (eds. ), Jerusalem in Bible and Archaeology: The First Temple Period, Society of Biblical Literature, 2003, pp.183–208, p.183. ^ Aviad Glickman, L-4167597,00.html 'Silwan man who stoned Jewish vehicle gets 4 years,' at Ynet 27 Dec 2011. ^ United Nations, Report of the Human Rights Council: Twelfth Session (14 September - 2 October 2009 UN 2010 p.98 (j). ^ a b c d e Mazar, Eilat, "Excavations at the Summit of the City of David, Preliminary Report of Seasons 2005–2007," Shoham, Jerusalem and New York, 2009, p. 21. ^ Oliver Holmes, 'Israel using tourism to legitimise settlements, says EU report,' The Guardian 1 February 2018:'Archaeology and tourism development by government institutions as well as private settler organisations established what it said was a “narrative based on historic continuity of the Jewish presence in the area at the expense of other religions and cultures”. Chief among them, the report warned, was the City of David, a government-funded archeological park in the Palestinian neighbourhood of Silwan that provides tours in the ruins of ancient Jerusalem. The site is operated by a settler organisation “promoting an exclusively Jewish narrative, while detaching the place from its Palestinian surroundings”. ^ Israel Antiquities Authority, Excavators and Excavations Permit for Year 2010, Survey Permits # A-5982 and A-5852. ^ "The Jerusalem Archaeological Park – about". www.archpark.org.il. Archived from the original on 2016-12-24. Retrieved 2016-08-01. ^ a b Macalister, R.A. and Duncan, J.G., Excavations on the hill of Ophel, Jerusalem, 1923-1925; being the joint expedition of the Palestine Exploration Fund and the 'Daily Telegraph', London, 1926. ^ Edwin C. M. van den Brink, "A New Fossil Director of the Chalcolithic Landscape in the Shephelah and the Samarian and Judaean Hill Countries: Stationary Grinding Facilities in Bedrock", IEJ 58.1 (2008), pp.1-23. ^ Mazar, Eilat, "Excavations at the Summit of the City of David, Preliminary Report of Seasons 2005–2007," Shoham, Jerusalem and New York, 2009, p. 23. ^ "Oldest written document ever found in J'lem," Hartman, July 12, 2010, Jerusalem Post. ^ Rollston, Christopher. "Rollston's Reflections on the Fragmentary Cuneiform Tablet from the Ophel: A Critique of the Proposed Historical Context". 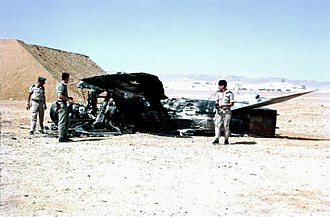 Retrieved 15 July 2010. ^ Rachel Ginsberg (2009-06-29). "The world of archeology is rocked by evidence of King David's palace unearthed in Jerusalem". Aish.com. Retrieved 2009-06-29. ^ Mazar, Eilat, Excavations at the Summit of the City of David, Preliminary Report of Seasons 2005-2007, Shoham, Jerusalem and New York, 2009, pp. 52-3. ^ a b Mazar, Eilat, Excavations at the Summit of the City of David, Preliminary Report of Seasons 2005-2007, Shoham, Jerusalem and New York, 2009, p. 52. ^ Color photo in Mazar, Eilat, Excavations at the Summit of the City of David, Preliminary Report of Seasons 2005-2007, Shoham, Jerusalem and New York, 2009, p. 53. ^ Herzog, H. and Sinver-Avitz, L., Redefining the Center: The Emergence of State in Judah, Tel Aviv, 31/2, 2004, pp. 209-44. ^ Doron Ben-Ami (2014). "Notes on the Iron IIA Settlement in Jerusalem in Light of Excavations in the Northwest of the City of David". Tel Aviv. 41 (1): 3–19. ^ Joffe, Alexander, The Rise of Secondary States in the Iron Age Levant, Journal of the Economic and Social History of the Orient, Vol. 45, No. 4, 2002, pp. 425-467. ^ Jerusalem: an archaeological biography, Hershel Shanks, Random House, 1995, p. 80. ^ Mazar, Eilat, Excavations at the Summit of the City of David, Preliminary Report of Seasons 2005-2007, Shoham, Jerusalem and New York, 2009, pp. 77-8. ^ Mazar, Eilat, Excavations at the Summit of the City of David, Preliminary Report of Seasons 2005-2007, Shoham, Jerusalem and New York, 2009, pp. 78-9. 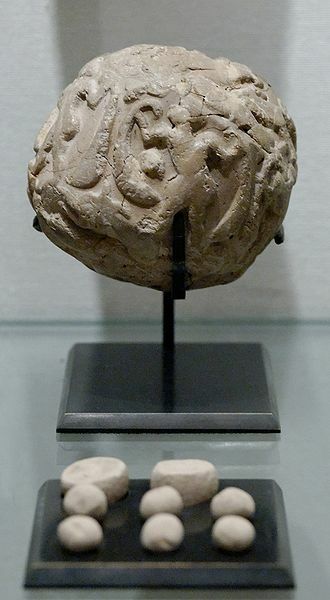 ^ "2,000 year-old cameo found in Jerusalem," Aug. 30, 2010, Jerusalem Post. ^ Macalister, R.A. and Duncan, J.G., Excavations on the hill of Ophel, Jerusalem, 1923-1925 being the joint expedition of the Palestine Exploration Fund and the 'Daily Telegraph', London, 1926. ^ Photos available in "Picturing Jerusalem, James Graham and Michael Diness, photographers", ed. Nissan N. Perez, Israel Museum, 2007. p. 31 and others. ^ Housing Minister Uri Ariel May Move to City of David, 25 October 2014. ^ Sixty-ninth session of the United Nations General Assembly, Israeli settlements in the Occupied Palestinian Territory, including East Jerusalem, and the occupied Syrian Golan: Report by the Secretary-General, A/69/348, 25 August 2014: "On 3 April 2014, despite several objections presented by Palestinian residents of the Silwan neighbourhood, a Palestinian community with a population of 45,000, located around the southern Old City wall in East Jerusalem, the Jerusalem District Planning and Building Committee approved a project known as the Kedem Compound. The Kedem Compound includes a museum, a visitors centre, and a parking lot covering around 16,000 square metres. The plan was presented by Israel's Nature and Parks Authority and the Ir David Foundation, also known as Elad, which works to strengthen the Jewish connection to Jerusalem, notably the Silwan area. The Kedem Compound would constitute a gateway to the City of David National Park, a touristic archaeological site controlled by the same organization. Furthermore, Elad presented plans, covering an estimated area of 1,200 square metres for the construction of another tourist compound above a site known as the spring house in Silwan, an ancient structure built above the main spring. Palestinians in the area have been prevented from accessing one of their main sources of water, since Elad has blocked the entrance to the spring by walls and fences. According to the Ir Amim archaeological organization, the plan was submitted for objections in February 2014. According to Emek Shaveh, an organization of archaeologists, an examination of the placement of the excavations and the planned tourist centres (the Kedem Compound, the City of David Visitors Centre, and the Spring House tourist centre) shows that a contiguous line of Israeli settler presence along the entire northern boundary of the Silwan area is being created." ^ 200 EX/PX/DR.25.2 Rev. PARIS, 12 October 2016: "The Executive Board... Deplores the Israeli decision to approve... the construction of the so-called “Kedem Center”, a visitor centre near the southern wall of the Al-Aqṣa Mosque/Al-Ḥaram Al-Sharif... and urges Israel, the occupying Power, to renounce the above-mentioned projects and to stop the construction works in conformity with its obligations under the relevant UNESCO conventions, resolutions and decisions"
Wikimedia Commons has media related to City of David. East Jerusalem or Eastern Jerusalem is the sector of Jerusalem that was not part of Israeli-held West Jerusalem at the end of the 1948–1949 Arab–Israeli War. Despite its name, East Jerusalem includes neighborhoods to the north and south of the Old City and this arrangement was formalized in the Rhodes Agreement in March 1949. A week after David Ben-Gurion presented his partys assertion that Jewish Jerusalem is an organic, inseparable part of the State of Israel in December 1949 and these decisions were confirmed respectively in the Knesset in January 1950 and the Jordanian Parliament in April 1950. On being captured by Israel in the 1967 Six-Day War, East Jerusalem, with expanded borders, in the Palestine Liberation Organization s Palestinian Declaration of Independence of 1988, Jerusalem is stated to be the capital of the State of Palestine. 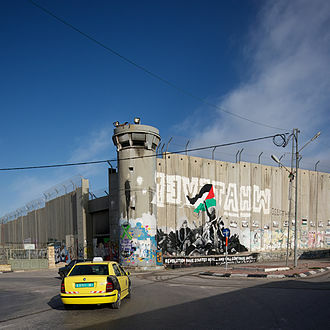 East Jerusalem has been occupied by Israel since 1967 and was annexed by Israel in 1980. On 27–28 June 1967, East Jerusalem was integrated into Jerusalem by extension of its borders and was placed under the law. In a unanimous General Assembly resolution, the UN declared the measures trying to change the status of the city invalid, following the 1948 Arab–Israeli War, Jerusalem was divided into two parts. The western portion, populated primarily by Jews, came under Israeli rule, while the eastern portion, populated mainly by Muslim and Christian Palestinians, following the 1967 Six-Day War, the eastern part of Jerusalem came under Israeli rule, along with the entire West Bank. 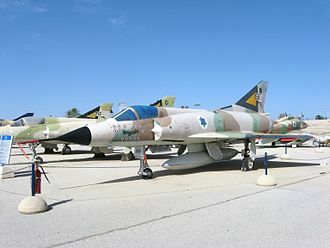 Shortly after the Israeli takeover, East Jerusalem was annexed to West Jerusalem, in November 1967, United Nations Security Council Resolution 242 was passed, calling for Israel to withdraw from territories occupied in the recent conflict in exchange for peace treaties. This declaration was determined to be null and void by United Nations Security Council Resolution 478, East Jerusalem is a term heavy with political implications. 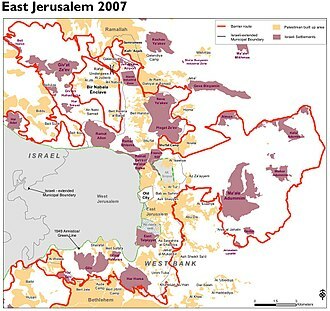 Israelis call the Arab populated part of the city East Jerusalem because of its location in the part of the single larger Jerusalem city unit. The term East Jerusalem is ambiguous and may be used to refer to either of the following, Jerusalem was to be an international city under the 1947 UN Partition Plan. It was not included as a part of either the proposed Jewish or Arab states, during the 1948 Arab–Israeli War, the western part of Jerusalem was captured by Israel, while East Jerusalem was captured by Jordan. The war came to an end with the signing of the 1949 Armistice Agreements, upon its capture, the Jordanians immediately expelled all the Jewish residents of the Jewish Quarter. 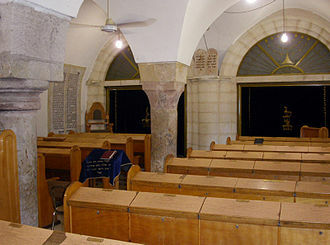 The ancient Jewish cemetery on Mount of Olives was desecrated, Jordan destroyed the Jewish villages of Atarot and Neve Yaakov just north of Jerusalem. East Jerusalem absorbed some of the refugees from West Jerusalems Arab neighborhoods that came under Israeli rule, thousands of Arab refugees who were displaced from their homes in Israeli-held West Jerusalem were settled in the previously Jewish areas of East Jerusalem. In 1950 East Jerusalem, along with the rest of the West Bank, was annexed by Jordan. 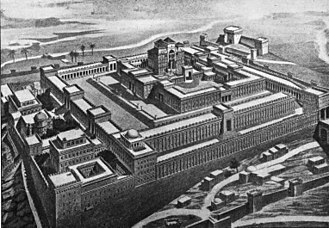 The Acra or Akra was a fortified compound in Jerusalem built by Antiochus Epiphanes, ruler of the Seleucid Empire, following his sack of the city in 168 BCE. The fortress played a significant role in the surrounding the Maccabean Revolt. 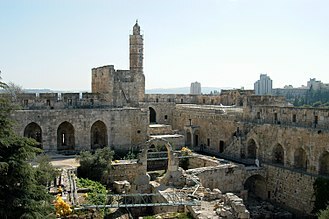 It was destroyed by Simon Maccabeus during this struggle, the exact location of the Acra, critical to understanding Hellenistic Jerusalem, had been a matter of lengthy discussions. Historians and archaeologists had proposed various sites around Jerusalem, relying mainly on conclusions drawn from literary evidence and this approach began to change in the light of excavations which commenced in the late 1960s. New discoveries had prompted reassessments of the ancient literary sources, Jerusalems geography, yoram Tsafrir had interpreted a masonry joint in the southeastern corner of the Temple Mount platform as a clue to the Acras possible position. 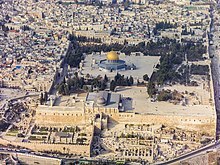 In November 2015 the Israel Antiquities Authority announced the discovery of the Acra in a different location, south-west of the Temple Mount. The Ancient Greek term acra was used to other fortified structures during the Hellenistic period. The Acra is often called the Seleucid Acra to distinguish it from references to the Ptolemaic Baris as an acra, following Alexander the Greats death in 323 BCE, Judea was contested between the Ptolemaic Kingdom in Egypt, and the Seleucid Empire based in Syria and Mesopotamia. Seleucid emperor Antiochus IIIs victory over Egypt in the Battle of Panium brought Judea under Seleucid control, the Jewish population of Jerusalem had aided Antiochus during his siege of the Baris, the fortified base of Jerusalems Egyptian garrison. Despite being allowed religious freedom, many Jews were enticed by and adopted elements of the prestigious, the imperial culture offered a route to political and material advancement, and this led to the formation of Hellenistic elites among the Jewish population. 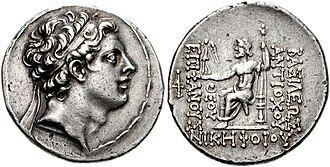 Hellenization produced tensions between observant Jews and their brethren who had assimilated Greek culture, Antiochus IV Epiphanes ascended the Seleucid throne in 175 BCE. Shortly afterward, Epiphanes was petitioned by Jason for appointment to the position of High Priest of Israel—an office occupied by his brother Onias III, jasons petition was granted, yet after a 42-month rule he was ousted by Antiochus and forced to flee to Ammon. In the meantime, Antiochus IV had launched two invasions of Egypt, in 170 BCE and again in 169 BCE, and routed the Ptolemaic armies. His intent to unify the Seleucid and Ptolemaic kingdoms alarmed the rapidly expanding Roman state, with Antiochus engaged in Egypt, a false rumor spread in Jerusalem that he had been killed. In the ensuing uncertainty, Jason gathered a force of 1,000 followers, although the attack was repulsed, when word of the fighting reached Antiochus in Egypt, he suspected his Judean subjects of exploiting his setback as an opportunity to revolt. In 168 BCE, Antiochus IV Epiphanes marched on and sacked Jerusalem, looting the temple treasury, reversing his fathers policy, Antiochus IV issued decrees outlawing traditional Jewish rites and persecuting observant Jews. Hezekiah was, according to the Hebrew Bible, the son of Ahaz and the 13th king of Judah. Archaeologist Edwin Thiele has concluded that his reign was between c.715 and 686 BC and he is considered a very righteous king by the author of the Book of Kings. He is one of the most prominent kings of Judah mentioned in the Hebrew Bible and is one of the mentioned in the genealogy of Jesus in the Gospel of Matthew. 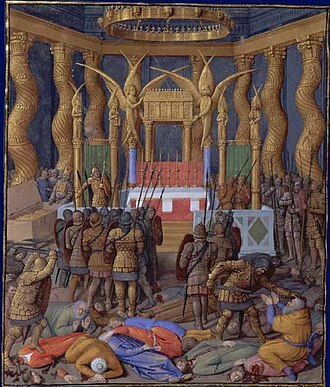 Hezekiah enacted sweeping reforms, including a strict mandate for the sole worship of Yahweh. Isaiah and Micah prophesied during his reign, more properly transliterated as Ḥizkiyyahu, or Ḥizkiyyah. It spawns a number of nouns, including חוֹזֶק, חָזְקָה, חֶזְקָה‎ strength, as well as the adjectives חָזָק, חָזֵק‎ strong. Accordingly, חִזְקִיָּהוּ‎ Ḥizkiyyahu can be said to mean something like Strengthened by Yahweh, the main account of Hezekiahs reign is found in 2 Kings 18–20, Isaiah 36–39, and 2 Chronicles 29–32 of the Hebrew Bible. Proverbs 25,1 mentions that it is a collection of King Solomons proverbs that were copied by the officials of King Hezekiah of Judah and his reign is referred to in the books of the prophets Isaiah, Jeremiah and Micah. The books of Hosea and Micah record that their prophecies were made during Hezekiah’s reign, Hezekiah was the son of King Ahaz and Abijah. His mother, was a daughter of the high priest Zechariah, based on Thieles dating, Hezekiah was born in c.741 BC. He died from natural causes at the age of 54 in c.687 BC, according to the Hebrew Bible, Hezekiah assumed the throne of Judah at the age of 25 and reigned for 29 years. Some writers have proposed that Hezekiah served as coregent with his father Ahaz for about 14 years and his sole reign is dated by William F. Albright as 715–687 BC, and by Edwin R. Thiele as 716–687 BC. Hezekiah purified and repaired the Temple, purged its idols, in an effort to abolish what he considered idolatry from his kingdom, he destroyed the high places and bronze serpent, recorded as being made by Moses, which became objects of idolatrous worship. In place of this, he centralized the worship of God at the Jerusalem Temple, Hezekiah resumed the Passover pilgrimage and the tradition of inviting the scattered tribes of Israel to take part in a Passover festival. 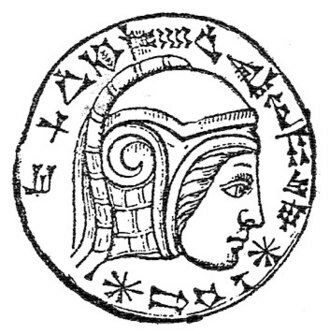 A Bulla is an inscribed clay or soft metal or bitumen or wax token used in commercial and legal documentation as a form of identification and for tamper-proofing whatever is attached to it. In this form, bullae represent one of the earliest forms of specialization in the ancient world, Bullae are still occasionally attached to documents for these purposes. During the period 8, 000–7,500 BCE, the Sumerian agriculturalists needed a way to keep records of their animals, small clay tokens were formed and shaped by the palms to represent certain animals and goods. Clay tokens allowed for agriculturalists to keep track of animals and food that had been traded, because grain production became such a major part of life, they needed to store their extra grain in shared facilities and account for their food. This clay token system went unchanged for about 4,000 years until the tokens started to more elaborate in appearance. The tokens were similar in size and color, as the growth of goods being produced grew and the exchanging of goods became more common, changes to tokens were made to keep up with the growth. Transactions for trading needed to be accounted for efficiently, so the clay tokens were placed in a ball to keep the tokens together. This helped with dishonesty and kept all the tokens together, in order to account for the tokens, the bulla would have to be crushed to reveal their content. Eventually seals were impressed into the clay alongside of the impression of the tokens, each party had its own unique seal to identify them. Seals would not only individuals, but it would identify their office. As the clay tokens and bulla became difficult to store and handle, clay tablets were easier to store, neater to write on, and less likely to be lost. Impressing the tokens on clay tablets was more efficient but using a stylus to inscribe the impression on the tablet was shown to be even more efficient. Around 3,100 BCE signs expressing numerical value began, by now, clay tokens became obsolete, a thing of the past. During the early Bronze Age, urban economies developed due to urban settlements, the recording of trade became necessary because production, shipments and wage payments had to be noted, and merchants needed to preserve records of their transactions. It was the center of religious life for all Jews, even those who lived in the diaspora prayed towards Jerusalem on a daily basis and made pilgrimages during religious festivals. It was in Jerusalem during the stages of this period that Christianity was born. The 600 years of the Second Temple period can be divided into several periods, the physical development of the city was greatly affected by the changing characteristics of each era, while at the same time influencing these periods themselves. The citys population was characterized by social stratification, both economic and religious, which grew more pronounced over the years. There existed in the city, for example, a distinction between a rich and cosmopolitan elite and the wider population wishing less influence in the nations ways from the outside world. At the time of the return to Zion from the Babylonian captivity and its walls were derelict and a modest shrine now stood at the site of Solomons once grand Temple. The city, enjoyed a vibrant and flourishing religious life and it was at this time that the first Mishnas were written up and both the Bible and the Halakha begun to take their modern form. The same time witnessed the emergence of a dominant priestly class, mizpah continued as the provincial capital for over a century. 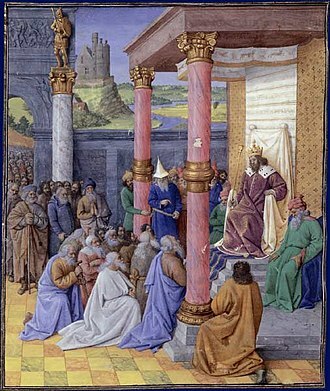 The Persians may have experimented at first with ruling Yehud as a client kingdom under descendants of Jehoiachin, but by the mid-5th century BCE the prophets and Davidic kings had disappeared, leaving only the High Priest. The practical result was that after c.500 BCE Yehud became in practice a theocracy, alongside the High Priest was the Persian governor, apparently usually a local, charged primarily with keeping order and seeing that tribute was paid. He would have been assisted by officials and a body of scribes, but there is no evidence that a popular assembly existed. Judah during the 9th and 8th centuries BCE was basically polytheistic, persian-era Jerusalem was tiny, about 1500 inhabitants, even as low as 500 according to some estimates. It was the only true urban site in Yehud, the bulk of the population living in small unwalled villages. This picture did not much change throughout the entire Persian period, there is no sign in the archaeological record of massive inwards migration from Babylon. The Kidron Valley is the valley on the eastern side of The Old City of Jerusalem, separating the Temple Mount from the Mount of Olives. It continues east through the Judean Desert in the West Bank, towards the Dead Sea, the settlement Kedar, located on a ridge above the valley, is named after it. The neighborhood of Wadi al-Joz bears the valleys Arabic name, the Hebrew Bible calls it Emek Yehoshafat, the Valley of Jehoshaphat. It appears in Jewish eschatologic prophecies, which include the return of Elijah, followed by the arrival of the Messiah, the central point of reference for the Kidron Valley is its confluence of Jerusalem’s richest concentration of rock-hewn tombs. This area, located on the periphery of the village Silwan, was one of the burial grounds of Jerusalem in the Second Temple Period. Several of these tombs were used in time, either as burial or as shelters for hermits and monks of the large monastic communities. The ancient tombs in this area attracted the attention of ancient travelers, might refer to certain parts of this valley located in the immediate vicinity of ancient Jerusalem, but not to the entire wadi, and certainly not to the long segment crossing the Judean desert. Similarly, in Arabic every more substantial wadi has many names, the Hebrew Bible calls the Valley Valley of Jehoshaphat - Emek Yehoshafat, meaning The valley where Yahweh shall judge. In the times of the Old Testament kings, the Kidron Valley was identified with, at least in part, the King’s Garden and that the upper Kidron Valley was known as the King’s Valley, in which Absalom set up his monument or pillar, is problematic. The Bible does not make this identification explicit, and the association can only be inferred as associated with En-rogel and it should be noted that not all scholars agree with the traditional view that the Kidron Valley is the location of the Valley of Jehoshaphat. Biblical commentator Adam Clarke maintains this view, claiming that the Valley of Judgment is a symbolic place, Kidron Valley was not associated with the Valley of Jehoshaphat until the 4th century AD. A passage in the Bible mentions that God will assemble all nations in the “Valley of Jehoshaphat”, some hold that the Valley of Jehoshaphat refers to the valley situated between Jerusalem and the Mount of Olives to the east. Gehenna, from the Hebrew Gehinnom, is a small valley in Jerusalem and the Jewish and Christian analogue of hell. The terms are derived from a place outside ancient Jerusalem known in the Hebrew Bible as the Valley of the Son of Hinnom, the Valley of Hinnom is the modern name for the valley surrounding Jerusalems Old City, including Mount Zion, from the west and south. It meets and merges with the Kidron Valley, the principal valley around the Old City. In the Hebrew Bible, Gehenna was initially where some of the kings of Judah sacrificed their children by fire, thereafter it was deemed to be cursed. In Jewish Rabbinic literature, and Christian and Islamic scripture, Gehenna is a destination of the wicked and this is different from the more neutral Sheol/Hades, the abode of the dead, although the King James Version of the Bible usually translates both with the Anglo-Saxon word Hell. In the King James Version of the Bible, the term appears 13 times in 11 different verses as Valley of Hinnom, Valley of the son of Hinnom or Valley of the children of Hinnom. English Gehenna represents the Greek Geenna found in the New Testament and this was known in the Old Testament as Gei Ben-Hinnom, literally the Valley of the son of Hinnom, and in the Talmud as גהנם‎ Gehinnam or גהנום‎ Gehinnom. Joshua is describing the boundaries of the tribe of Judah and this reference in the Book of Joshua is the first mention in the Old Testament of this Valley of the Sons of Hinnom. This valley, as Keil and Delitzsch note, is on the side of the Jebusite town. 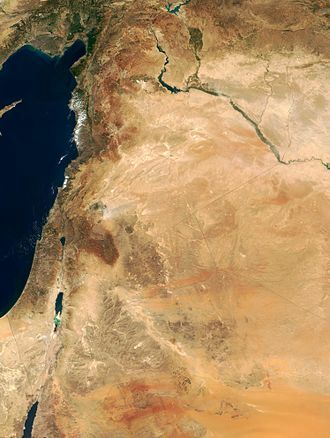 In the Quran, Jahannam is a place of torment for sinners and non-believers, the exact location of the Valley of Hinnom is disputed. Older commentaries give the location as below the wall of ancient Jerusalem. Smith, Dalman and Watson identify the Wadi ar-Rababi, according to Joshua, the valley began at En-rogel. If the modern Bir Ayyub is En-rogel, Wadi ar-Rababi, the oldest historical reference to the valley is found in Joshua 15,8,18,16 which describe tribal boundaries. The next chronological reference to the valley is at the time of King Ahaz of Judah who sacrificed his sons according to 2 Chron. Remains of the Second Temple Pool of Siloam. The Givati parking lot dig and proposed remnants of the Acra. Antonio Ciseri's Martyrdom of the Maccabees (1863), depicting an episode from Antiochus IV's (seated) persecution of the Jews. 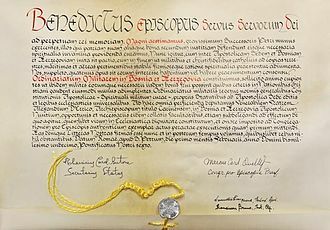 A modern bulla attached by yellow cord to the Apostolic constitution Magni aestimamus issued by Pope Benedict XVI in 2011. A sample photograph showing how the Gibraltar model, on display at the Gibraltar Museum, includes every house and roadway.